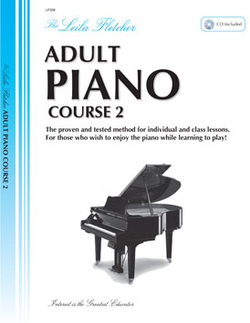 Leila Fletcher Adult Piano Course Book 2 offers an advancing program from book one with student appeal and further pedagogical sound features. New concepts are presented in a clear fashion and natural progression. Key and chord structure is presented from a theoretical approach. Varied left hand accompaniments are developed to prepare the student for all types of repertoire. The repertoire selection represents classical to popular providing the adult student with a lesson book that offers true musical enjoyment.